Whistler (BC), Canada – ‘Tis the season for spreading Christmas cheer! Twinkling lights, snow-covered mountains and a roaring fire are all staples of Christmas time in Whistler. But, there is one tradition at this B.C. ski and snowboard resort that stands out from the crowd – quite literally. 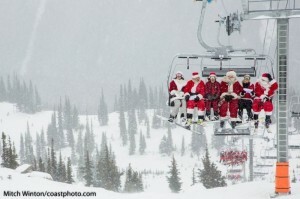 Whistler Blackcomb’s annual Dress Like Santa Day is taking place this Saturday. Skiers and riders of all ages are invited to dress like Santa or Mrs. Claus and bring the festive fun to the slopes. 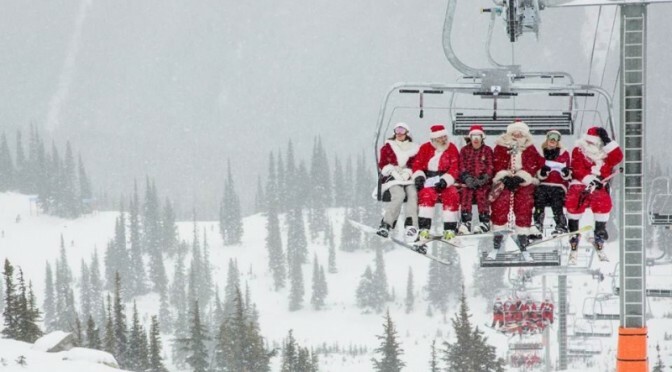 A free lift ticket will be awarded to the first 100 people to arrive at the Garibaldi Lift Company, at the base of Whistler Mountain, in full Santa or Mrs. Claus attire. 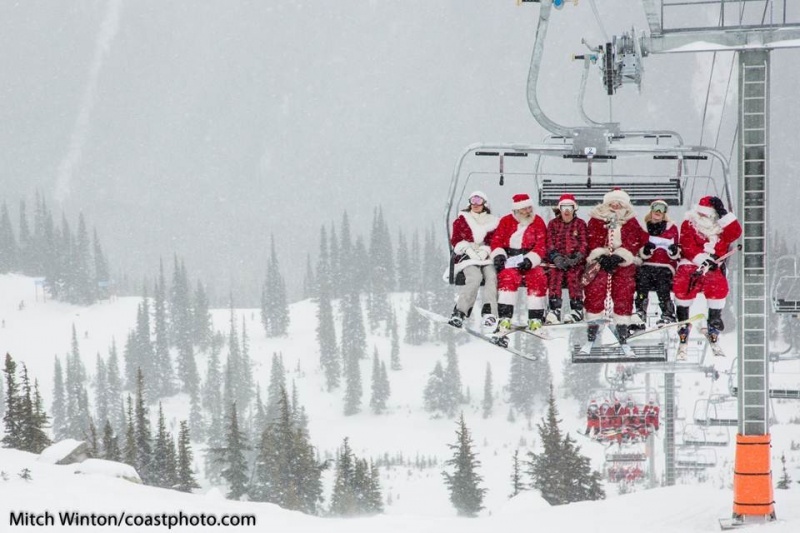 All Santa and Mrs. Claus’s will upload the Whistler Village Gondola at 8:00 a.m., then ski or ride to the bottom of Emerald Express for a group photo.